Hey, guys! This week I have an easy peasy freebie for Silhouette Sunday. It’s a four-leaf clover 4 ways! Yay! 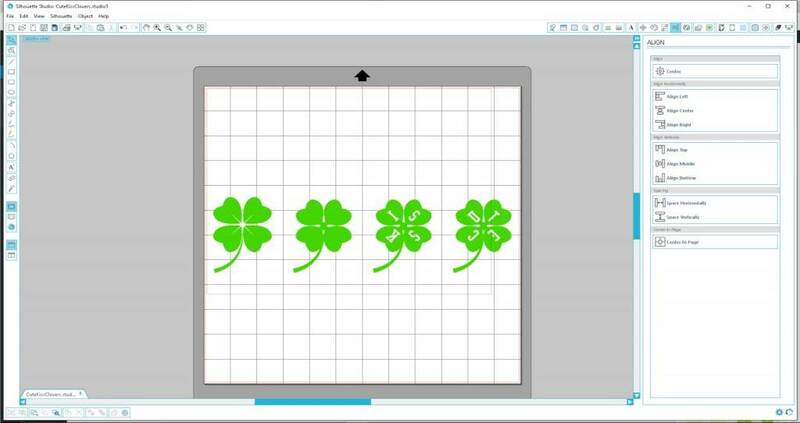 There are four clovers on the mat in this file. Two have no lettering, and two of them are duplicates of the second clover with the words ‘KISS’ and ‘CUTE’ in the leaves (petals?). This file is provided for personal use only and is not to be redistributed without express permission from Echo S., Echoia.com & EchoStenger.com. If you have any questions, please feel free to contact me via Facebook .